A company you invested in has an IPO. Congratulations, you have reached a much sought-after milestone. What happens next? While early investors and employees might be eager to cash-out by selling their shares, many companies limit their ability to sell with an IPO Lockup Period. 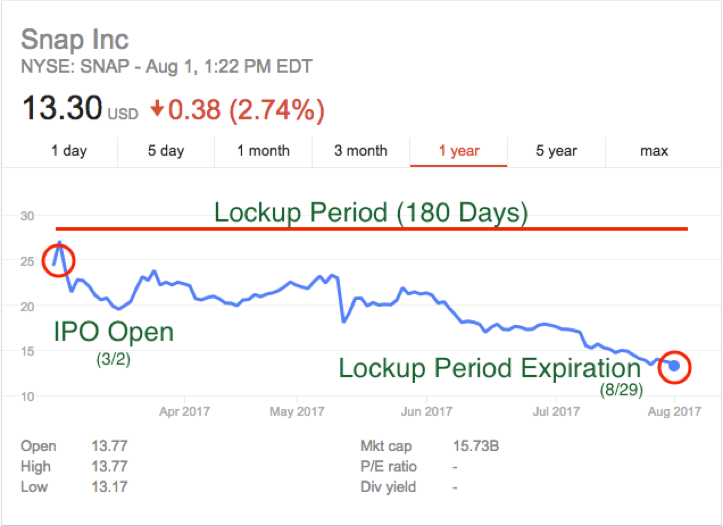 The Lockup Period is intended to prevent insiders from flooding the market with shares that would cause the stock price to decline. Typically, early shareholders will have to wait 180 days before Lockup Period Expiration. 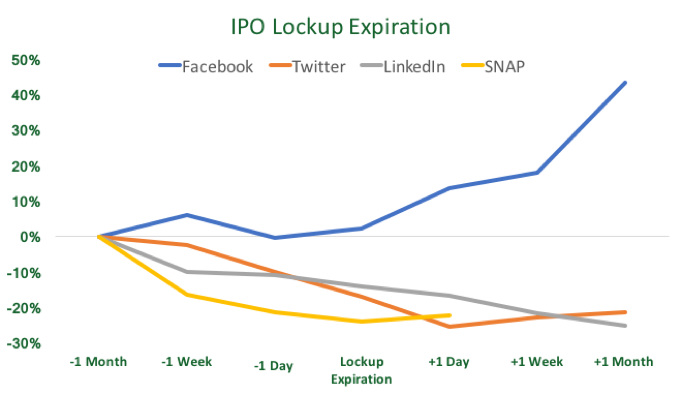 On July 29th, the Lockup Period expired for SNAP investors, meaning that early investors are now able to sell around 400 million shares that they’ve held since before the company went public in March. Many investors are wary of the potential sell-off which follows expiration of the Lockup Period, and tend to sell in the weeks and months leading up to this date. However, sometimes those fears are over-hyped and present an opportunity for investors to buy, as was the case with Facebook. 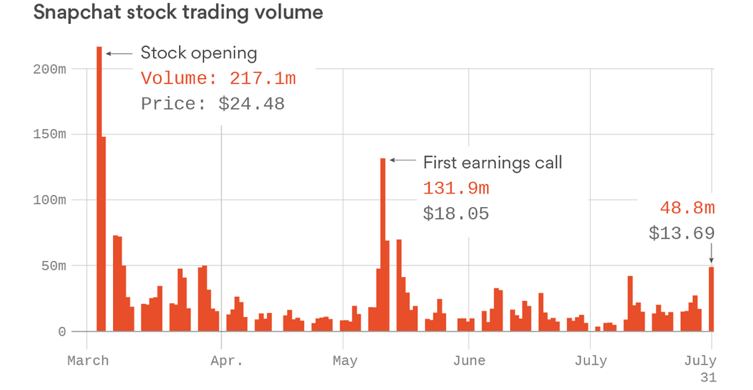 So far, trading volume for SNAP has been lower than the 400 million shares now available, indicating that investors may be waiting for the company’s 2nd Quarter Earnings release on August 10th. Early Redfin (RDFN) investors, who saw their stock value increase nearly 80% since last week’s IPO, will be eagerly anticipating their lockup expiration on January 24, 2018 when they can sell their shares.